The kinetics of molecular hydrogen formation is studied in the radiation-catalytic and catalytic decomposition of water on the surface of nano-Zr. The effect γ-radiation has on the nano-Zr + H2O system at different temperatures is studied. 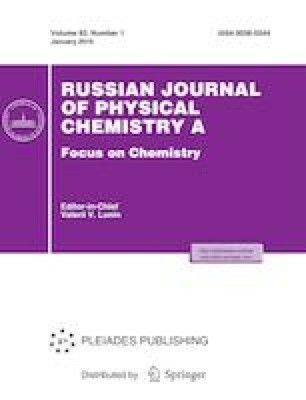 Values of the formation rates and the radiation–chemical yield of molecular hydrogen in radiation-catalytic processes are determined. Contributions from catalytic and radiation-catalytic processes to the formation of molecular hydrogen upon contact between nano-Zr and water are determined.